The first generation Avalanche was launched in 2001 and its main attribute was the famous unique foldable mid gate. Thanks to this feature, the Avalanche can be transformed from a five passenger SUV with a 5-foot-3-inch bed into a standard cab pickup with a full 8-foot-1-inch load bed. 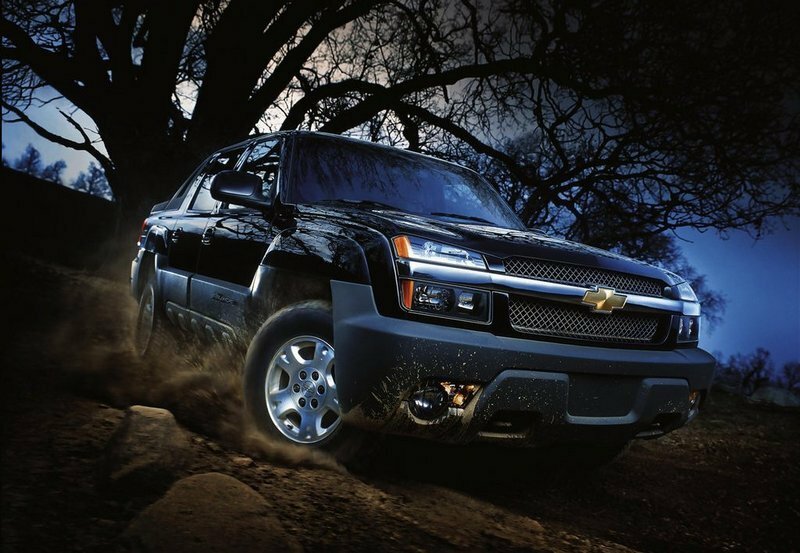 The Avalanche is based on the Suburban model and was designed to fill the big gap between the SUVs and pickups. The Chevrolet Avalanche however, is a couple inches longer than the Suburban, but half a foot shorter than the Silverado extended cab. At the launch the first generation Chevrolet Avalanche was offered with a standard 5300 Vortec V8 engine and comes in both 4x2 and 4x4 flavors. 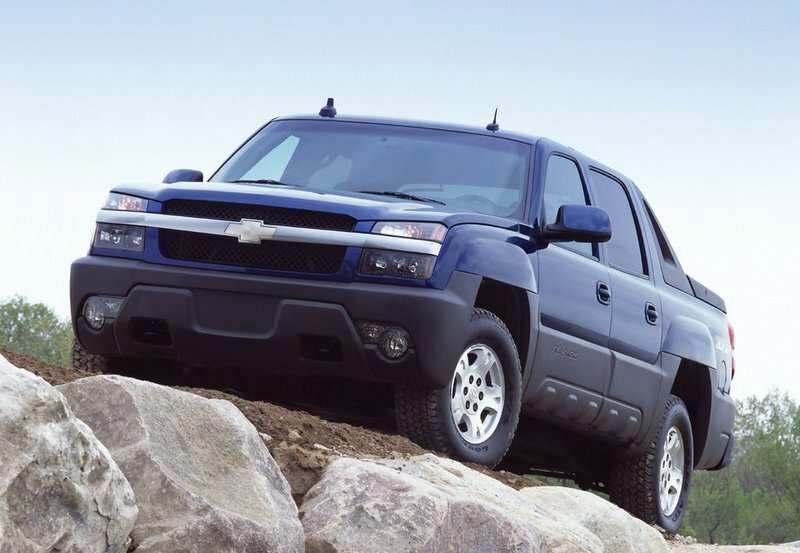 Judging by pickup standards, the first generation Chevrolet Avalanche looked fairly good, offering a perfect mix between dynamism and utility. The front was fitted with a wide radiator grille and a set of modern headlights, both of them being split in two sections by a shiny thick bar which gave the vehicle a distinctive look. The hood was robust and came with a set of dynamic creases which underlined the sporty design of the vehicle. 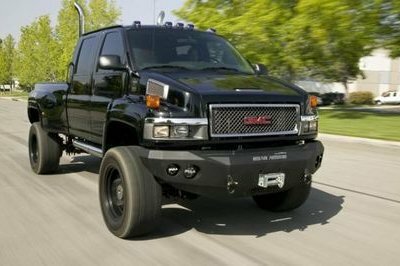 The front bumper was massive and completed the rugged appearance of the truck. We also like the robust, oversized wheel arches and the aggressive side cladding which betrayed the utilitarian character of the Avalanche. The three-piece modular cargo cover can be completely or partially removed. The cargo cover holds 250 pounds, providing stowage area for various things. Access to the load area is made by means of the convenient footsteps integrated into the bumper and the well placed hand-holds. For increased practicality, lockable storage bins are located ahead of and behind the rear wheels. The cabin won’t win you any beauty awards and the material quality is unimpressive. Yet, most of the fittings seem lasting and the Avalanche’s interior is pretty solid. We find the grey dashboard a bit too robust, even for its time, but we don’t have any complains about the controls emplacement as everything can be easy reached. The instrument cluster is a bit cluttered and we’re not big fans of the unusual gauge layout either. On the other hand, we do like their white backgrounds as the high contrast helps you read them easier. The dash is fitted with all sorts of cubbies, cup holders and storage consoles designed to make your life on board easier. The steering wheel is pretty basic and it’s also a bit thin for our taste, failing to provide a confident grab. The seats however, are comfortable for both long and short trips and offer a good driving position. Because you seat high from the ground, you are rewarded with a top notch road visibility and you won’t complain about the huge lateral mirrors either as they’ll do their job just fine. 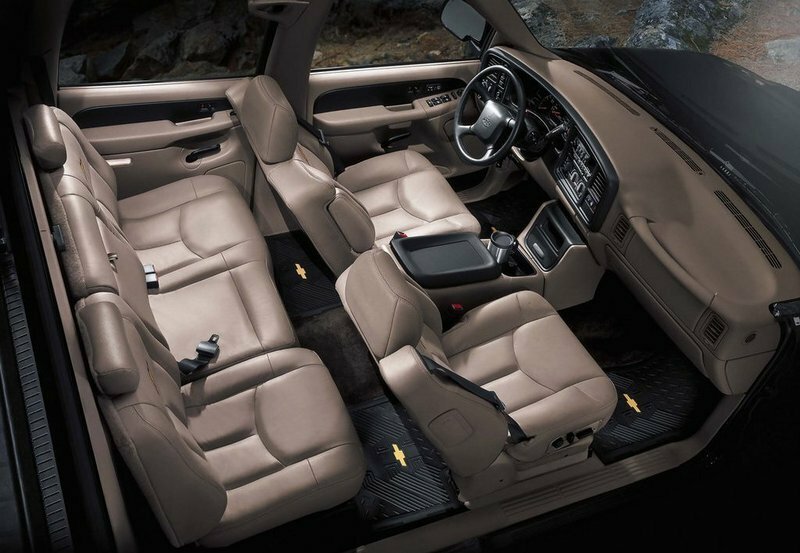 The Avalanche interior can be specified with four different seat fabrics including cloth, sport cloth, sport leather and leather. Other optional features include automatic climate control, GM’s OnStar system and a power sunroof. 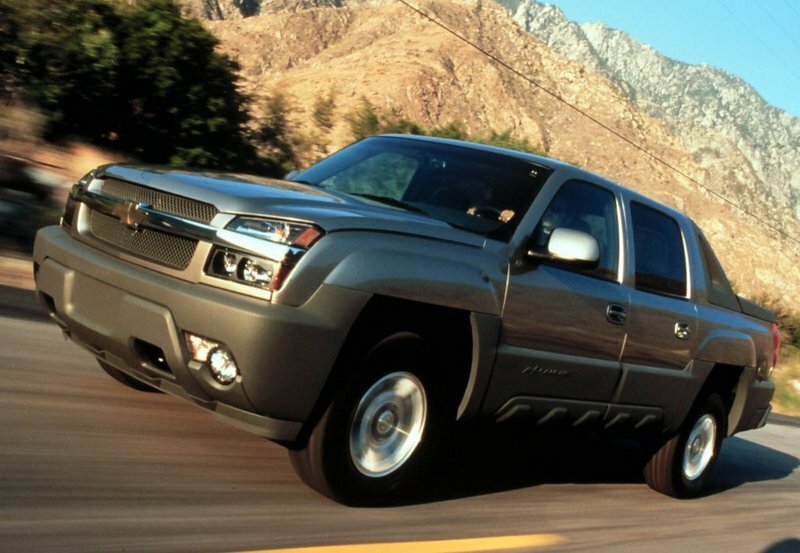 The only engine available at the launch for the 2001 Chevrolet Avalanche is the 5.3 liter V8 unit. The engine is fairly capable and you won’t have any significant complain about it, as its 285 hp are more than enough to keep the pickup nimble. Moreover, nineteen percent of its 325 lb-ft of torque is reached from just 1600 rpm, which translates into a great towing power and brisk accelerations with a 0-60 mph run achieved in less than 9 seconds. The engine is mated on a silky smooth four speed automatic transmission which offers a proper compromise between performance and efficiency with EPA ratings of 14 mpg for the 2WD model and 18 mpg for the 4WD. Later on, Chevrolet has also introduced the stronger 8.1 liter V8 which cranks out 340 hp and 455 lb.ft. of torque. Maximum tow ratings are 8300 lb for the 2WD and 8100 lb for the 4WD. The Avalanche chassis and suspension have a lot of common elements with the sporty Suburban SUV and there is no gap between the cab and cargo bed. The vehicle also sits on an ultra sturdy three piece frame which is combined with front independent torsion bar suspension and a multilink live axle setup with coil springs at the rear. The Avalanche has pretty civilized road manners and knows how to hide its gargantuan proportions, making you feel like driving a smaller vehicle. For a full sized pickup, the ride is surprisingly smooth and at the same time, the body roll is also pretty well kept in check. On the other hand, the power-assisted recirculating-ball steering won’t win a lot of fans as it lacks a proper on-center feel. The Premium on-road package includes 17-inch wheels, load-leveling rear shocks and a locking rear differential. There is also a special off road package which comes with 17-inch wheels, skid plates, locking differential and specially tuned springs and shocks. The first generation Chevrolet Avalanche was seen with curious eyes by the automotive media, mostly due to its split personality. However, the vehicle opened the road for a new breed of pickups and for this reason only, the Avalanche has inked its name in the long history of trucks. 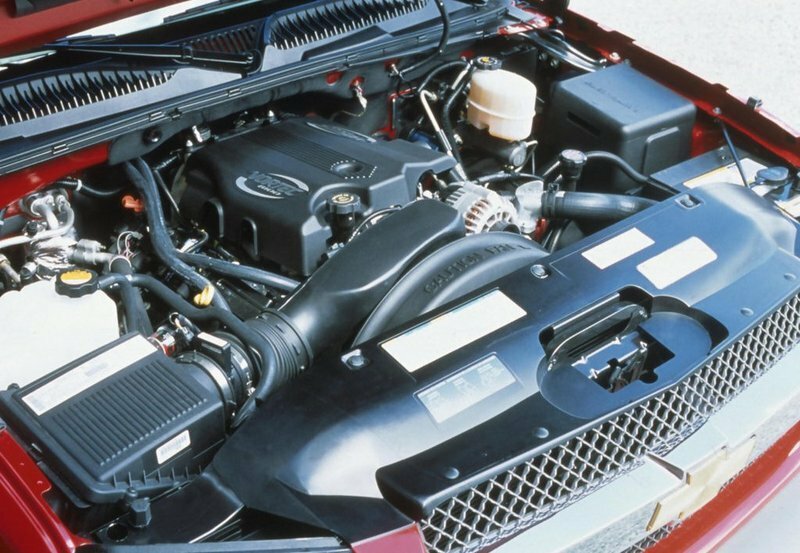 The vehicle had one of the best ride and handling abilities from the market, while the V8 engine was also fairly capable of dealing with big loads without breaking a sweat. Moreover, the driver was also treated with a pretty decent cab, while the foldable mid gate was certainly like a cherry on the top.